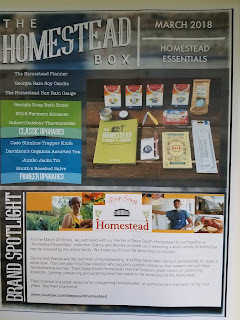 *DISCLOSURE* Thank you to The Homestead Box for providing product samples in order to facilitate this post. All thoughts are strictly my own. 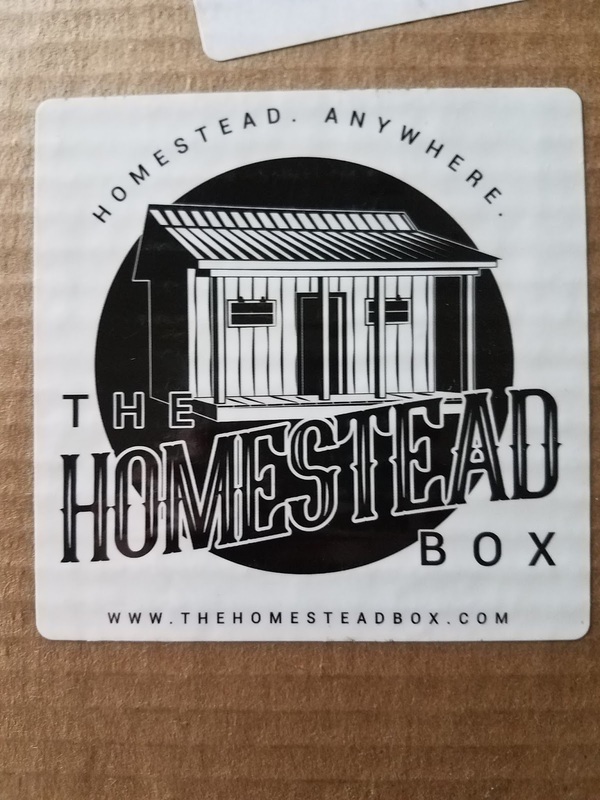 The Homestead Box is a subscription box that is put together by homesteaders for homesteaders. 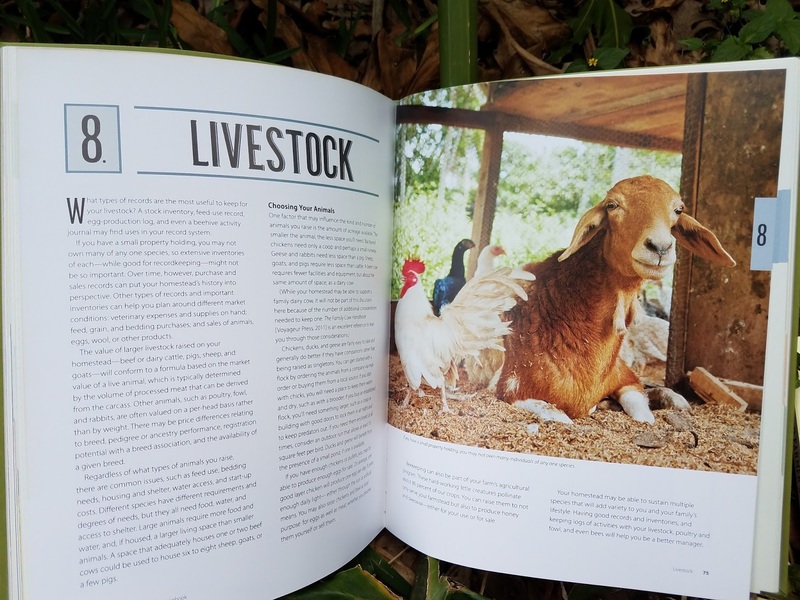 Because of their experience, they know exactly the right products to add to each box to make sure you are getting valuable and useful homesteading goods. 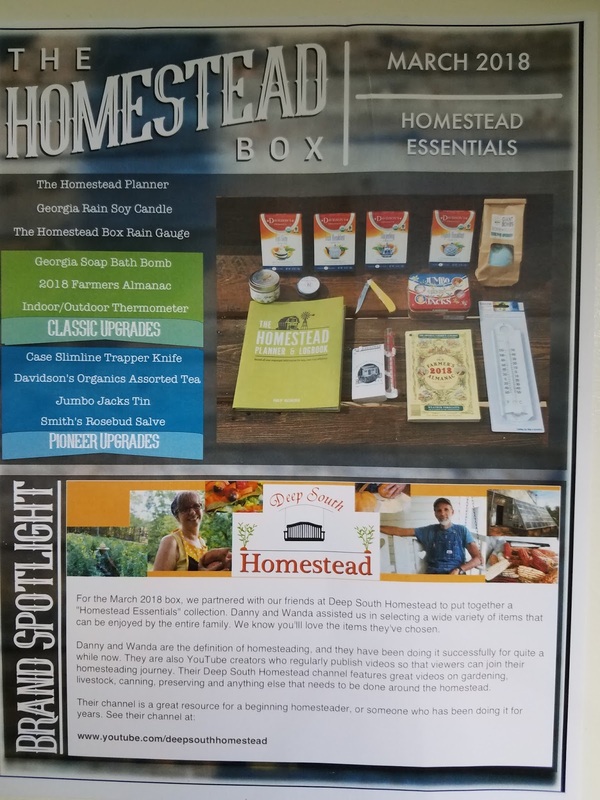 It doesn't matter the size of your homestead, this box is bursting with goodies that are useful for any level of homesteader. Choose between our three awesome box choices — Pioneer, Classic or Vintage. Each box has a theme and the different boxes build upon the theme. 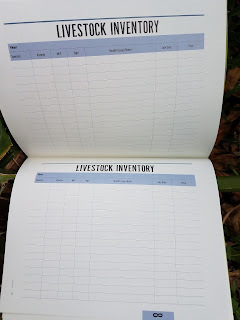 The Vintage Box contains essential items to get you started on a new self-reliance skill each month and is just $24.99/month. The Classic Box contains all of the great items from the Vintage Box PLUS a few more items to take your project to the next level. It runs $49.99/month. 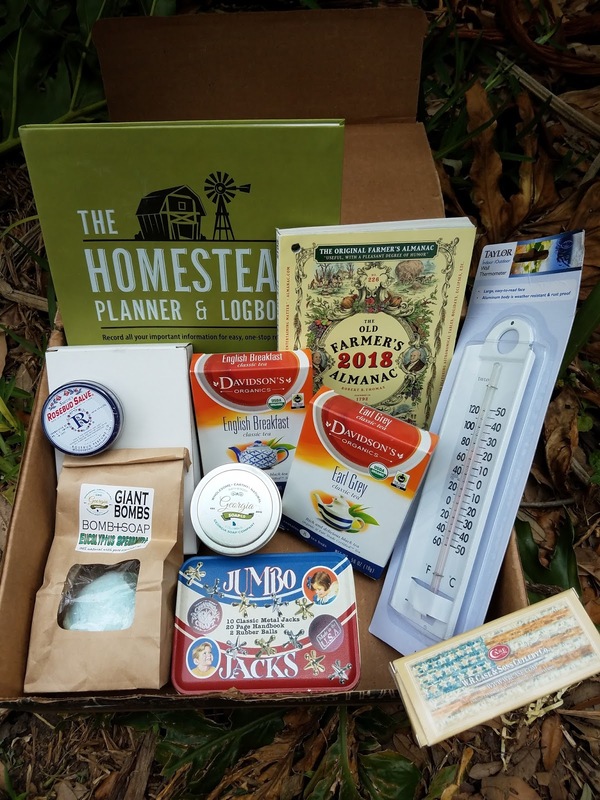 The Pioneer Box builds on the items from the Vintage and Classic Boxes with some premium items to add to your homestead tool kit and is $99.99/month. Easily keep track of the work you've put into your homestead or small farm - or figure out the work you need to put into it - with the help of this convenient planner. 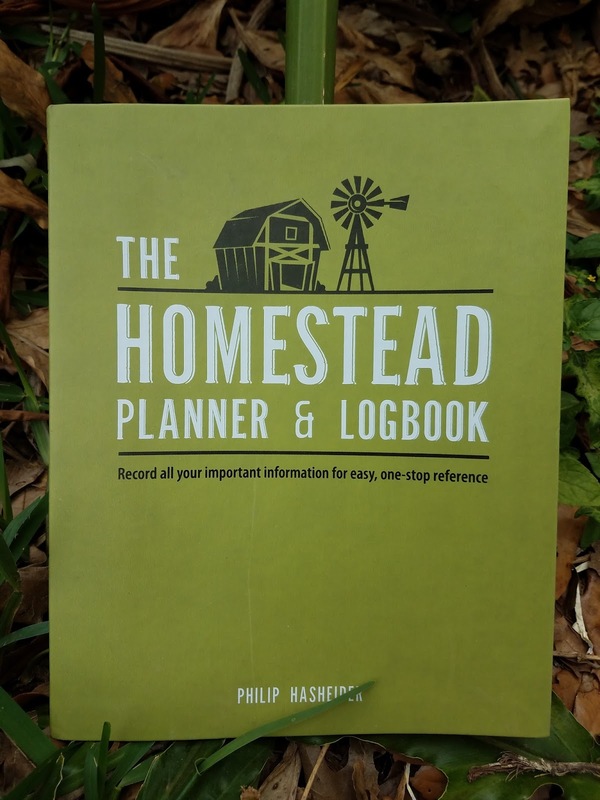 The Homestead Planner and Logbook provides one place to record and organize all the information that you should have readily available. 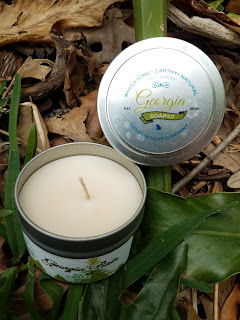 This handcrafted and hand poured 100% pure high quality soy wax candle is clean burning and made in the USA! It has a burn time of 20+ hours and smells heavenly! 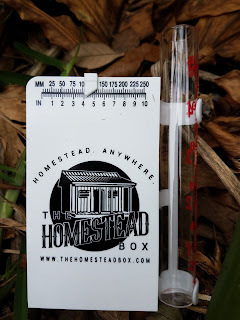 This rain gauge is a super handy tool for any homestead! This beautiful Eucalyptus Spearmint GIANT Bath Bombs smells amazing! 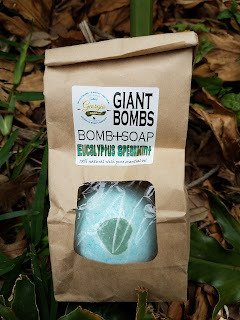 Real essential oils are used to scent this fizzy bomb and it contains a chunk of Eucalyptus Spearmint Bar Soap on the inside to create a wonderful bath experience. Always timely, topical, and distinctively “useful, with a pleasant degree of humor,” the Almanac has been beloved for centuries by people from all walks of life. It is an essential tool for all homesteaders! 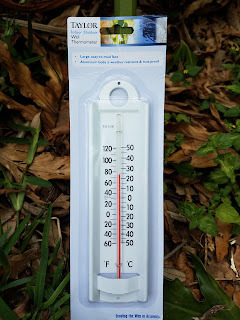 This thermometer is extra large and has an easy to read face. It's weather resistant and features a easy mount design. 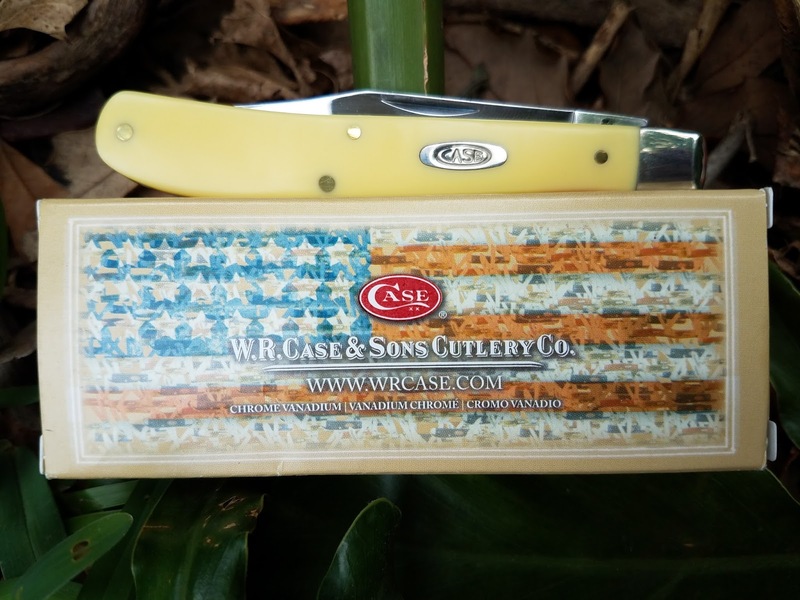 This is an authentic Case knife. 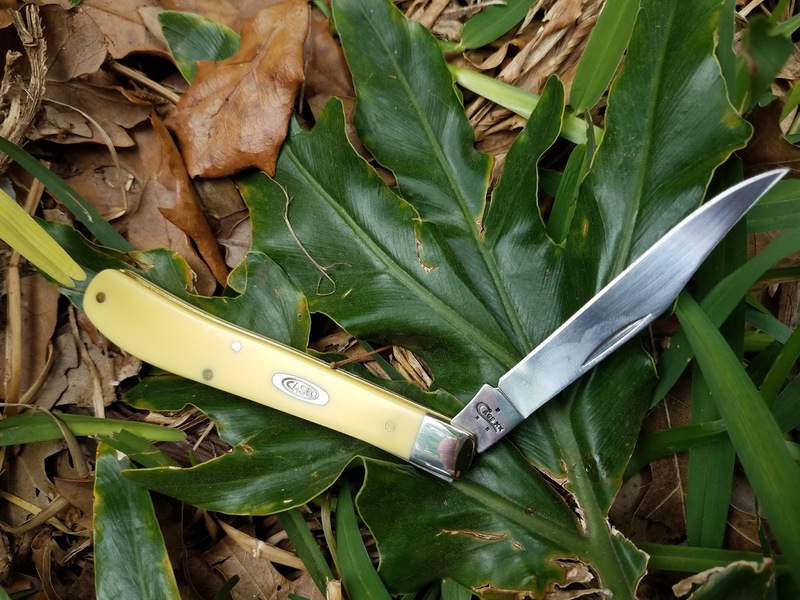 The Slimline Trapper is a thin knife that measures 4 1/8" closed. It's a thinner version of the trapper and can be used for skinning and fleshing animals. It's also just a great everyday pocket knife for projects around the house and the outdoors. I love the slim, lightweight design! 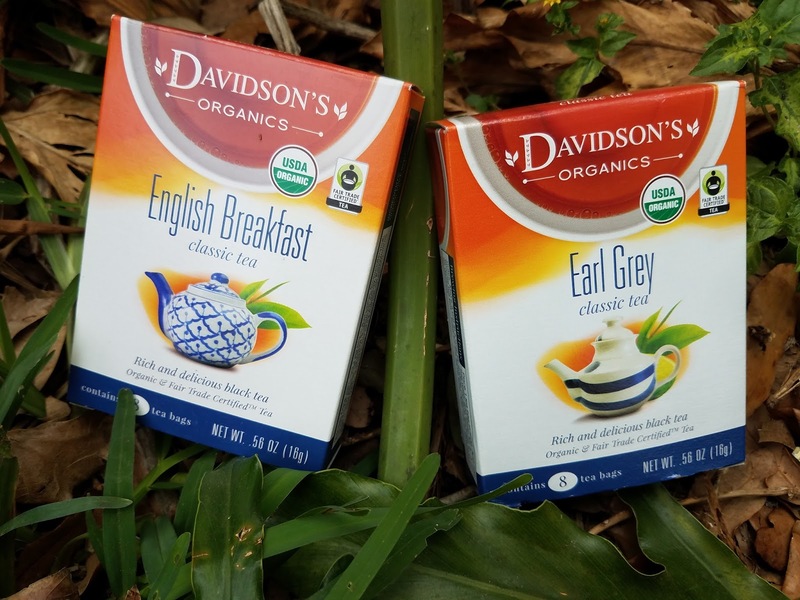 Two boxes of 8 count tea bags in my favorite two flavors...huge score! 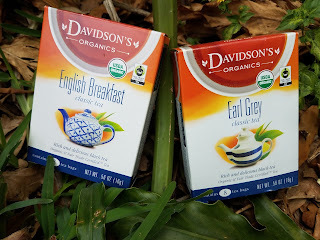 Davidson's tea is delightful and a great treat. 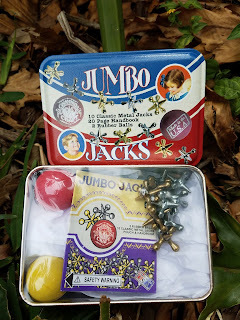 Jumbo Jacks are a nostalgic favorite among children and adults alike! 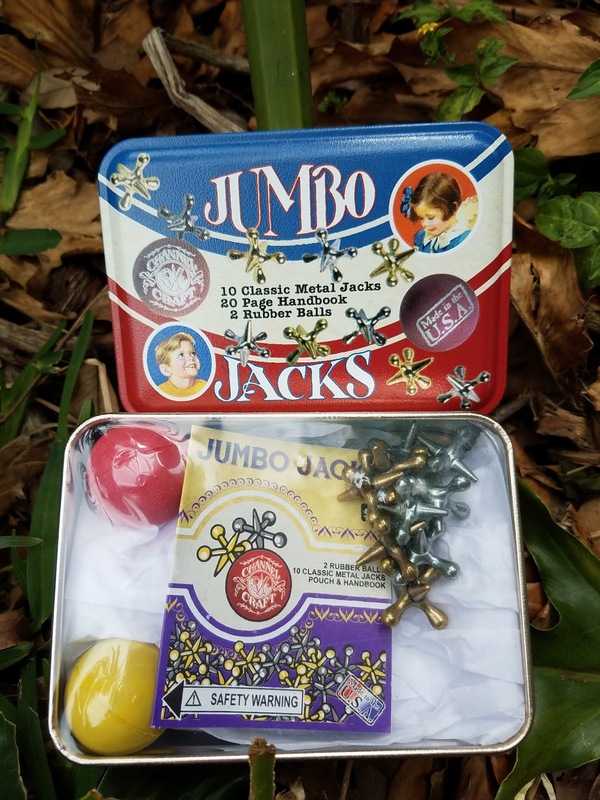 These Jumbo Jacks come in a cool collectible tin with a 20-page handbook includes games, techniques, and the history of Jacks! Fun! Smith's Rosebud Salve has been around forever it seems! This amazing multi-purpose salve is a true wonder product. 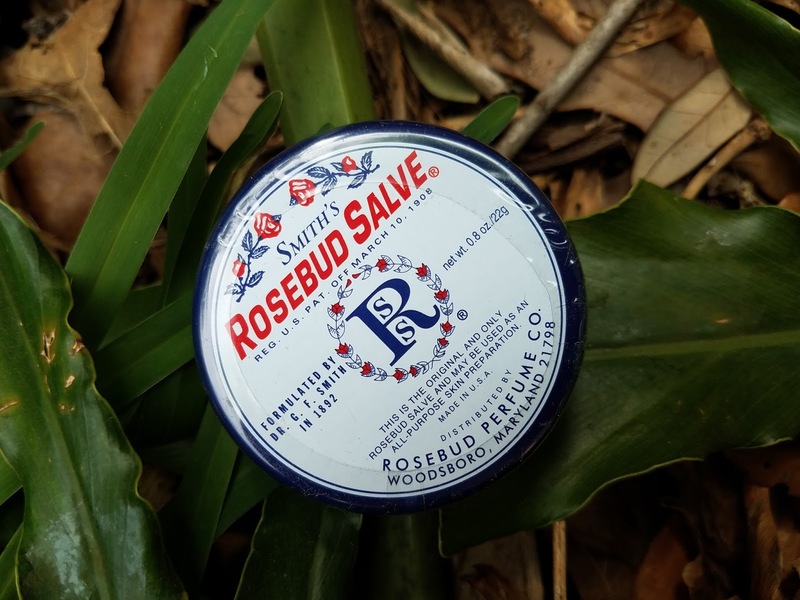 It can be used to help prevent lips from chapping, heal cuts, soothe cuticles, moisturize elbows and knees. It's fantastic for your beauty regime too! Use to highlight cheekbones, décolletage, and tame frizzies and unruly eyebrows. Plus, it's cruelty free! 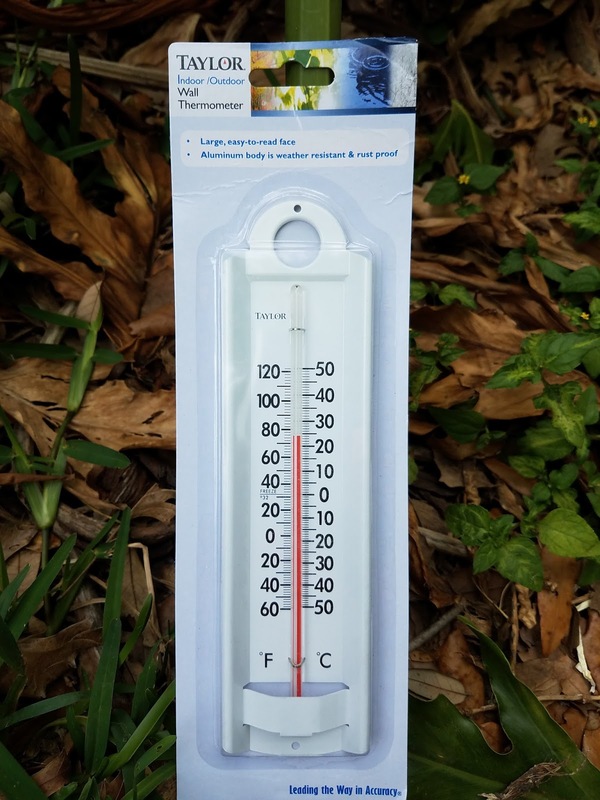 The total value of the box (excluding the rain gauge because I couldn't find a price) is $99.95 making it a fair deal this month. 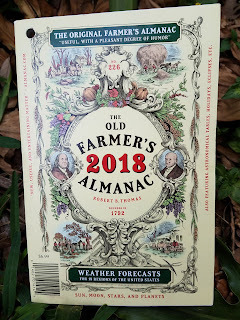 Other boxes I've seen on the site in the past have far exceeded the $99 price point, so with a subscription some months will be a better value money-wise than others. However, based on the quantity and quality of items and the fact that every SINGLE item in the box will be used and loved, I think The Homestead Box is a fantastic subscription box! 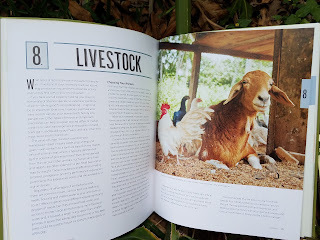 The folks at The Homestead Box are passionate about walking side by side with their subscribers to accomplish something great—a sustainable, simple life. 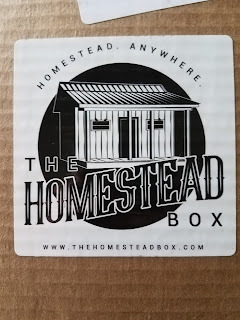 Well done, The Homestead Box, well done!